In this tutorial we will learn how to create pie of pie chart in Excel and Bar of Pie chart in Excel. 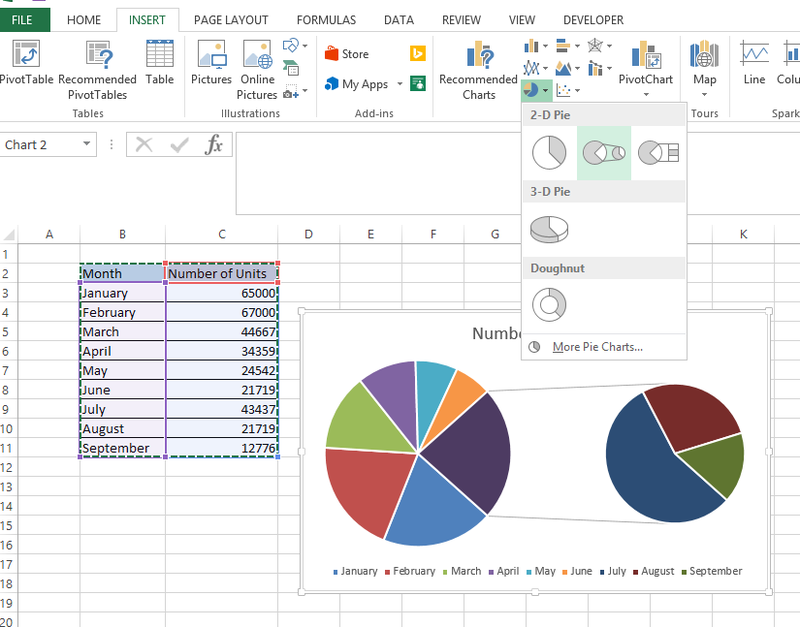 Why we use Pie of Pie chart in Excel ? 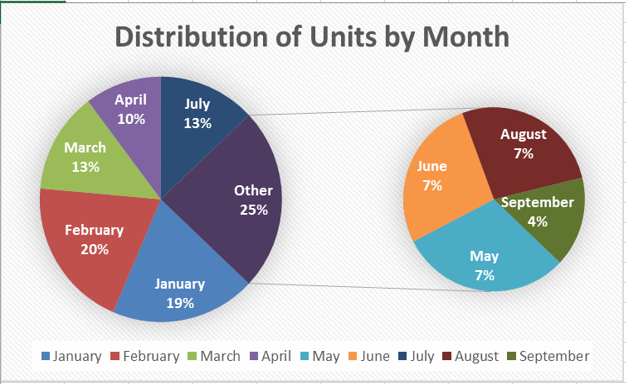 When we need to represent the percentage distribution across categories we generally use Pie chart. When there is too much of categories with very less percentage distribution then the pie chart becomes quite messy. In that case we use Pie of Pie chart which Projects those values which is less than the threshold as a separate pie chart. 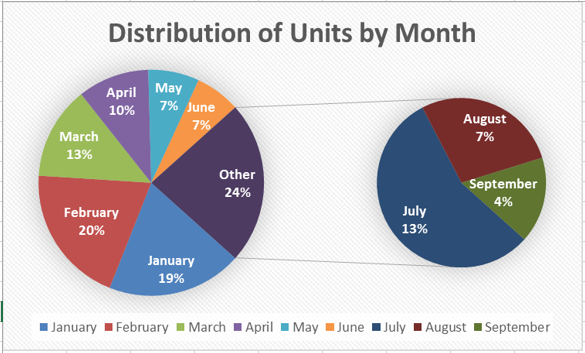 Data that we use to demonstrate Pie of Pie chart in Excel is shown below (number of units produced across months). 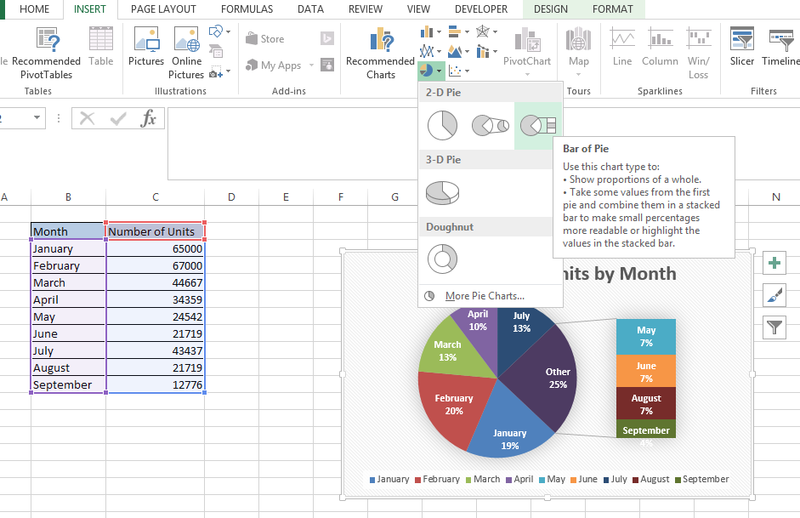 Lets see how to create Pie of Pie chart in Excel. From the chart styles chose the style of charts that suits our representation. So our chart will be like. 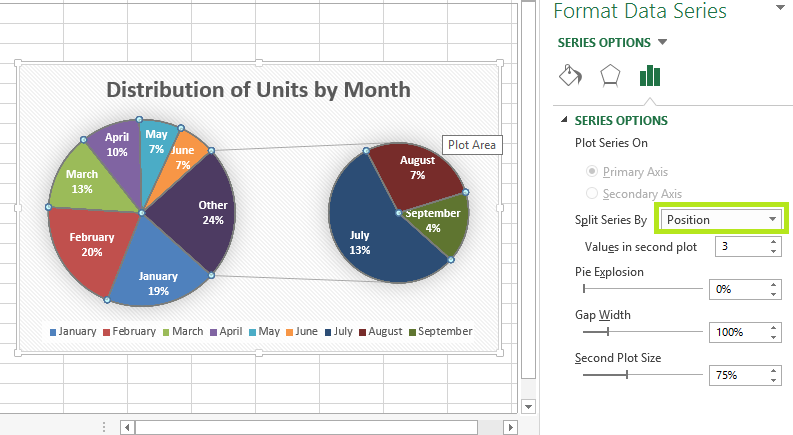 Right click on any area of the Pie chart and Chose Format Data series option .you can change the way the pie has been split by clicking the Split series by option as shown below.